You love nature? So do we! At SaltyWay, surfers and climbers meet who have one thing in common: A love of nature and a passion for adventure. We would like to share our knowledge, our passion and our enthusiasm for these sports with you. And this in one of the most enchanting areas in Portugal: the “Serra de Sintra”, a mountain range west of Lisbon that stretches directly to the Atlantic Ocean. Climbing and surfing in Portugal means breathtaking nature, relaxed people and of course unique experiences. Only 40 minutes from Lisbon, our camp is located in beautiful Praia das Maças. Situated in the middle of greenery, you can come down here and relax. Only 3 minutes away from the beach. 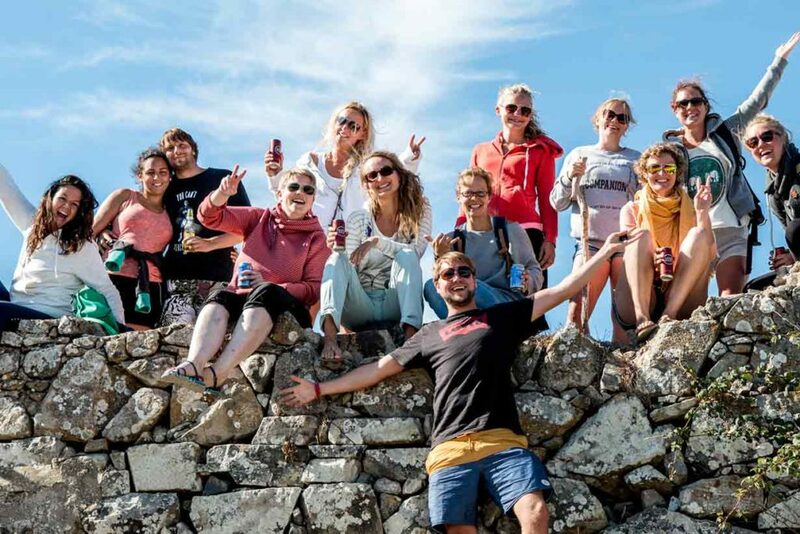 Our climb and surf camp in Portugal is a professional camp for adults. Our surf & climbing courses take place from Monday to Friday. On weekends and between classes, you can explore the area or relax. So we offer yoga, walks or excursions in the area. Besides surfing and climbing, fun comes first. After all, we want you to spend an unforgettable holiday with us in Portugal. Our goal is to give you a unique stay and to inspire you for new adventure sports. Climbing and surfing in Portugal is more than just a holiday. Our guides will teach you everything you need to know to surf or climb independently after your holiday and we believe that it is never too late to learn to surf or climb. At SaltyWay you learn actively in small groups and in a relaxed atmosphere. No pressure at all. In our surf courses we will introduce you to the secrets of surfing and the magic of the waves. Whether you are a beginner or an experienced surfer, we will put together just the right package for you. Depending on the course you will learn to stand first waves, surf green waves or your first turns. On a climbing holiday with SaltyWay you climb in the shady mountains or directly at the sea. Our guide knows the best climbing and bouldering spots for each level, so both experienced climbers and beginners are welcome. Together you will learn the basics or improve your technique. 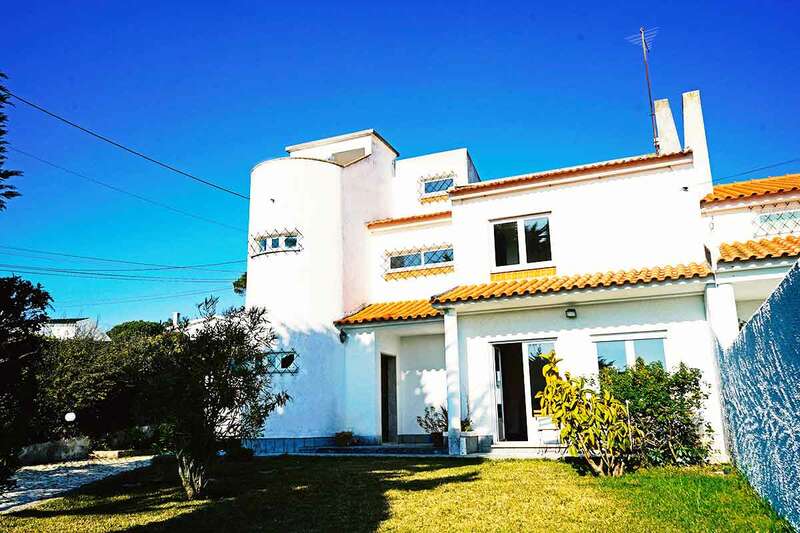 SaltyWay House is located in Praia das Maças, just a few steps from the beach, cafes and restaurants. In the typical Portuguese “Moradia” it is bright and cosy, the atmosphere relaxed. You can relax in the garden or explore the beautiful surroundings. Our surfcamp in Portugal is located in the always green Colares. Surrounded by rolling hills and beautiful forests, you’ll find great beaches for surfing or learning to surf. Whether you are a beginner, intermediate or advanced surfer, we will find the perfect wave for you. For those who already know their way around the whitewater, we also offer a so-called step-up course. So you might soon be surfing your first green wave or your first turns. Surfing equipment such as wetsuit and surfboard are of course available. From softboards and funboards to longboards and shortboards we have everything in the camp. The surrounding area offers a large selection of fantastic surf spots for all levels. Mostly we surf at our house beach, the Praia Grande. If the conditions here are not ideal, we have several other surf spots at our disposal. So you are guaranteed to get your money’s worth during your surfing holiday. Climbing in Portugal with SaltyWay means five days of climbing in beautiful nature. Climb with us directly at the sea (eyes open, dolphins!) or in the shady forests of the surrounding mountains. No matter if you are a beginner or an experienced climber, you will definitely have fun and learn a lot of new things. Because our guide knows all the climbing and bouldering spots in the area and always finds the best place for your level. So you climb in a small group of maximum six people in the most beautiful places of the area. 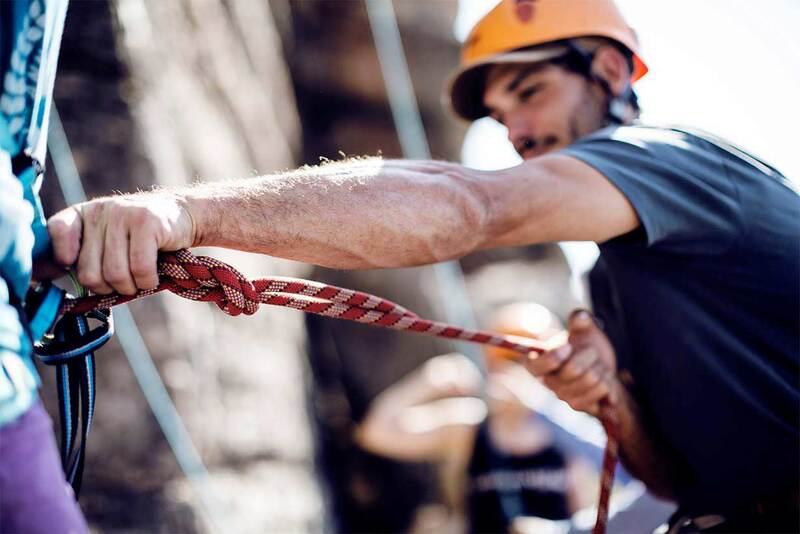 Without any pressure you will work together on your climbing technique and enjoy the beautiful nature. A climbing holiday in Portugal is also great for families. And so that you don’t have to carry so much luggage, we will gladly provide you with the climbing equipment during the courses. So you can simply drop down and concentrate on the essentials: On your holiday. Boulderers can be happy: We have two crash pads in the camp, which you are welcome to rent. Families are very welcome in our camp, we are looking forward to your children. Spend an unforgettable holiday in Portugal together as a family! Our surf and climbing instructors are specialised in teaching children. We have wetsuits and surfboards in all sizes. 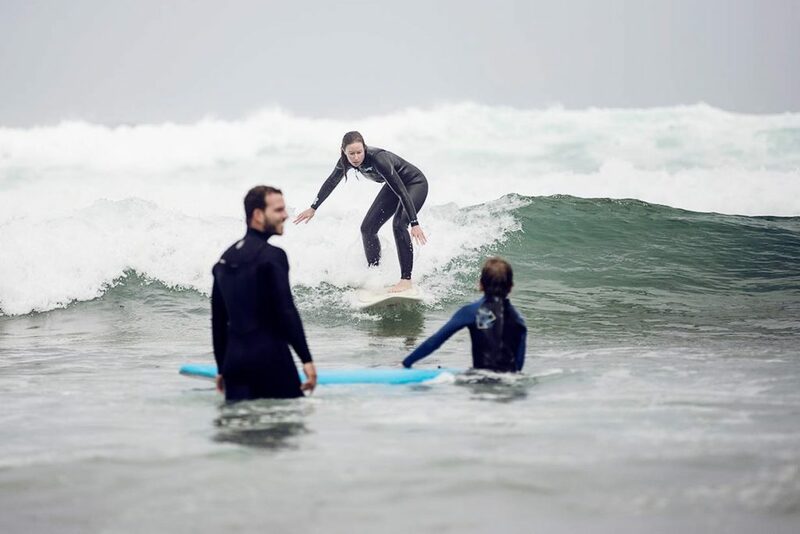 In addition to the surf lessons and the climbing courses, you still have plenty of time to relax as a family, to do something good with surf yoga or to explore Portugal’s rich culture and fascinating history in nearby Sintra or Lisbon. Families stay with us in external chalets. This guarantees enough privacy during your family holiday. 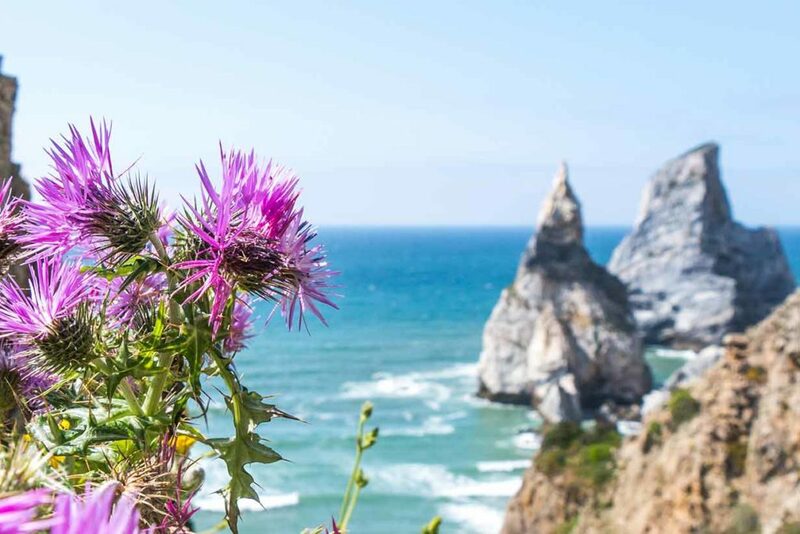 Whether you surf on the wild Portuguese coast or climb the evergreen mountains of Sintra, the heart of SaltyWay is its closeness to nature. Climbing and surfing in Portugal with SaltyWay – We are looking forward to your visit!